Back of the Cereal Box: Who Put the Smile on the Cheshire Cat? But just as it’s rarely noted today that the book’s actual title was actually Alice’s Adventures in Wonderland, a few of Carroll’s references today get lost as a result of Alice growing more popular than anything of-the-period that Carroll was riffing on. Take the Mad Hatter, for example. It’s somewhat well-known today that this particular tea party attendee acts so strangely because hat-makers in Carroll’s day used mercury to cure felt and therefore lost their minds. The whole character is a literalization of the then-popular expression mad as a hatter. As I said, a lot of people have heard this explanation, but a great many more people would have heard of the Mad Hatter than those who have actually come to understand why Carroll invented him. And even fewer people know the logic behind the Cheshire Cat. 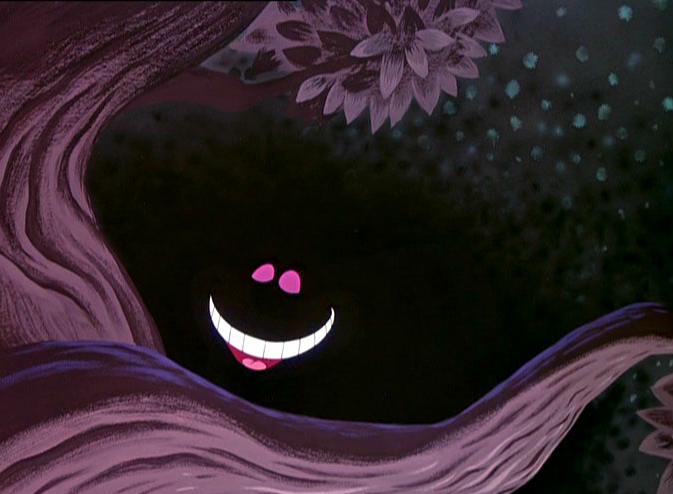 If there’s one thing to know about the Cheshire Cat, it’s that it smiles. It smiles even when the cat itself is not present, in fact. 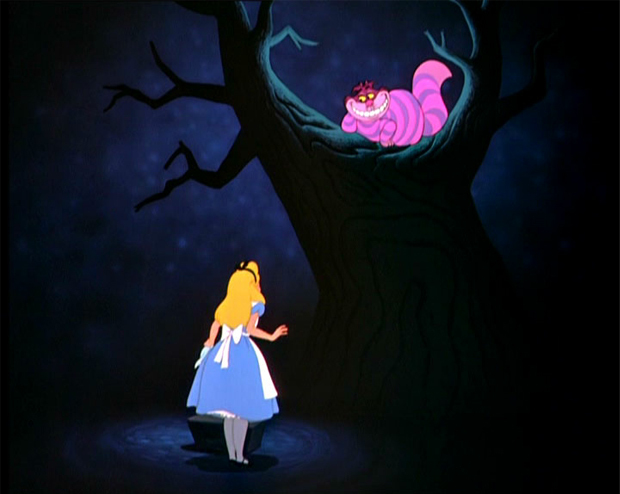 If you’re like me, you have unsettling memories of the Alice in Wonderland ride at Disneyland, which at one point sent the passengers through a dark tunnel and towards the Cheshire Cat’s grinning face, which vanished all but the grin, which then just wobbled back and forth in the darkness, detached from a body. But why does it smile? In the same way that the Mad Hatter arose from the phrase mad as a hatter, the Cheshire Cat comes from the phrase grinning like a Cheshire cat. And while a few theories exist about why anyone in Carroll’s region of England would have used it, the simplest and most widely accepted is this: Cheshire, England, had a lot of dairies, so plentiful, flowing milk would have made any local cats extremely happy. Barring a few theories to the contrary, that’s why the Cheshire Cat can’t stop smiling. As far as making one more pop cultural connection, it’s worth noting that DC Comics has since 1983 had the villain Cheshire. 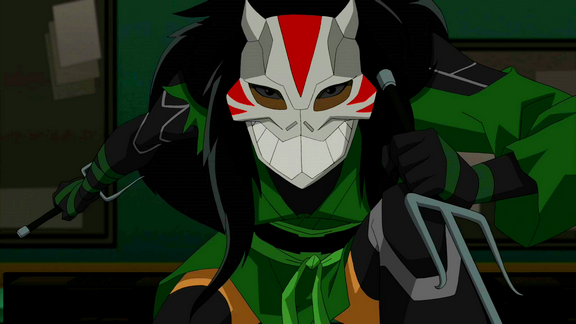 And while she’s retained the same look more or less since her inception — long black hair and a green ninja dress, making her look more or less like a complementary color Elektra — she’s depicted more and more often with a grinning cat mask. Here’s how she appears on Young Justice. It’s a nice way of making her costume reflect her literary origins, especially when consider how she’s a ninja that, like the Cheshire Cat, disappears whenever she wants to.